Interesting thoughts by Alan Watts on how we are what we make ourselves to be today, not where we have been yesterday, its today… Listen to the video! I’m an introvert at first but once I get to know you, may God help you! I believe we have a greater duty to each other in the realm of “human morality” above all all else, before race, creed and even religion. After all humanity is God’s greatest creation, value it. My two favorite times of day are the sun rise and the sunset! The change in day is a breathtaking miracle we get to experience everyday! I’m currently trying to learn the piano, I am having a hard time learning how to play with both hands. Slower than most, its a interesting learning experience on how much we’ve limited the training of our brains…I’m sure for many more things than just piano playing. 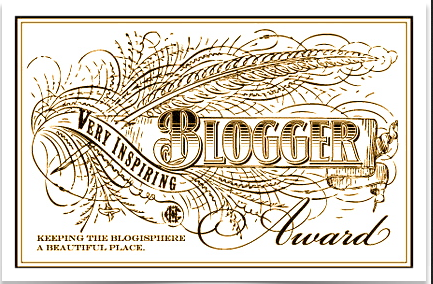 Nominate a list of bloggers that inspire you. Cicada Princess from Jesse Solomon Clark on Vimeo. I found this story very well written and beautifully presented. What is it that creates the value of life? The time we spend living it or what we spend our time doing. Does it really matter how short life is, if we’ve given it the value it deserves? The excitement and cheer of small joys. Could we possibly achieve total and complete contentment?